For the most affordable combination of power and track performance, spend about $43,000 for an SS with the 1LE package. Forget what you know about the Camaro’s pony car and muscle car past. The 2019 Chevrolet Camaro is now a full-fledged sports car. Based on an architecture shared with Cadillac, the Camaro is light and nimble, and it offers a variety of powertrains that vary from perky to thunderous. It even rides pretty well for a sports car, though the outward site lines fall victim to its menacing design. The 2019 model year marks the introduction of the 1LE handling package for the turbo-4 Camaro, which makes it available with all engines. The Camaro also gets a revised look front and rear, an updated infotainment system, a new 10-speed automatic for the base V-8, a rear camera mirror, and newly available forward-collision warnings. Design changes include three new looks for the front end based on trim level, new rear fascias, revised taillights, and some new wheel designs. Otherwise, the retro-inspired design is still there, with a chopped-top look, a high beltline, and wide haunches to underline it’s rear-drive layout. Buyers can get the Camaro in LS, 1LT, 2LT, 3LT, 1SS, 2SS, and ZL1 trim levels in coupe or convertible body styles. The LS and LT models come with a 275-hp 2.0-liter turbo-4 as standard, but LT buyers can opt for a 335-hp 3.6-liter V-6. SS buyers are treated to a 455-hp 6.2-liter V-8, and ZL1s get a supercharged 6.2-liter V-8 that blasts out 650 hp. 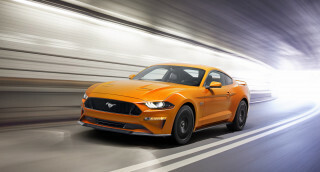 All can be ordered with a 6-speed manual transmission, the 4- and 6-cylinders offer an 8-speed automatic, and the V-8s get an available 10-speed automatic. Fuel economy decreases as power increases, though even the base V-8 isn’t too hard on fuel (provided the driver isn’t too hard on the throttle). All Camaros are quick, it just depends on how quick you want it. The turbo-4 launches to 60 mph in 5.4 seconds, the V-6 in 5.0, the base V-8 in 4.0 seconds, and the ZL1 in just 3.5 seconds. The Alpha platform that the Camaro shares with the Cadillac ATS and CTS gives it premium bones. It’s a stiff structure that also provides excellent weight balance, and buyers can add to the car’s natural ability with the 1LE package, which adds suspension, cooling, and brake upgrades to improve performance. For the SS, it also adds Magnetic Ride Control dampers, while the ZL1 version gets aerodynamic elements, an adjustable suspension with spool-valve dampers, and Goodyear Eagle F1 Supercar 3R summer tires. The story isn’t so positive on the inside. While the Camaro offers supportive sport seats and good room up front, the view out of that gunslit greenhouse is blocked in several directions and the rear seat is for kids or sadists. The trunk is also quite small. The Camaro has performed well in limited crash tests, but it lacks some safety features. Chevrolet adds forward-collision warnings this year, but the Camaro still doesn’t offer automatic emergency braking. A modern take on 1960s cool, the 2019 Chevrolet Camaro prioritizes sleek and sporty over space and function. The Camaro features styling elements that recall the Camaros of the late 1960s, though exaggerated. It’s low and sleek, with high sills and a chopped-top look. The car has a classic Coke-bottle shape that is drawn in at the middle with especially strong rear haunches. As a compact car, the lines don’t always have enough room to play out over the surface of the body. The roof flows well into the trunk, but the three-quarter front view can make the rear end look stubby. The front and rear of the Camaro get a different look for 2019, with variations for the SS, LS/LT, and R/S variants, while the ZL1 remains unchanged. The SS features what looks like a much larger grille due to a central bar that is now black and makes the upper grille and lower air intakes look like one unit. The LS/LT version has a slimmer grille that is clearly separated from the lower air intakes. The SS has LED signature lighting, the LT gets LED headlights, and the RS package gets an LED light bar. The interior is fairly stark but offers some decent materials. A touchscreen in the center of the dash sits in an oddly shaped trapezoidal frame. The digital instrument cluster seems to be framed in “Star Wars” Tie Fighter shapes, and the air vents are gimbaled and include climate control settings. Available contrasting seat inserts add a bit of visual flair. Pick your power output, but any choice delivers a Chevy Camaro with the moves of a sports car; some are ready for the track as well. The 2019 Camaro is our favorite pony car to drive and the reason is the premium Alpha platform which got its start with the Cadillac ATS and CTS. The double-pivot, control-arm and strut front suspension teams with very well tuned electric assist power steering system to provide the driver with excellent control and road feel. The structure is stiff and balanced and it helps any model remain planted and stable through corners. The Camaro feels alive, especially the sharp and weighty steering, and that’s why we call it a sports car. The ride is composed, as the rear suspension is well sorted, even without the available Magnetic Ride Control dampers that improve both ride and handling. Those dampers are most helpful with the SS’s 20-inch wheels, which can bobble over broken surfaces. The SS, 1LE, and ZL1 models are tuned for the racetrack, and their Sport and Track programs let the chassis play without the stability control stepping in too quickly to nanny the car through corners. The Track mode, especially, also makes all the responses sharper. These cars have the cooling and braking for track duty, let alone the power. Every Camaro is fast, but more money buys more power. The base 2.0-liter turbo-4 is no slouch with 275 hp and 295 pound-feet of torque. Chevy quotes a 5.4-second 0-60 mph time, which may be a bit optimistic, but it’s likely in the ballpark. The 2.0-liter is the most docile-sounding Camaro engine, though it speaks up when pushed hard. 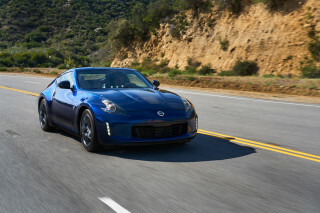 It works well with either its 6-speed manual or 8-speed automatic transmission, and the manual offers short throws and a connected feel. The 3.6-liter V-6 ups the output to 335 hp and 284 lb-ft of torque. The 0-60-mph sprint drops to 5.0 seconds, according to Chevy, and this engine announces itself with a more present howl that is piped into the cabin and amplified. 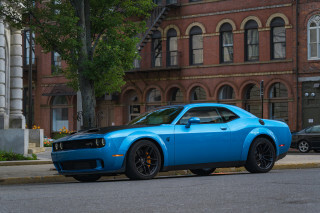 The sweet spot is the 455 hp 6.2-liter V-8, which makes a matching 455 lb-ft of torque. It delivers a wallop of power from a stop, dispatches the 0-60-mph run in a scant 4.0 seconds, and makes deep, guttural sounds along the way. Its manual has rev-matching downshifts. At the top of the lineup, the ZL1 and ZL1 1LE push into supercar territory with a supercharged 6.2-liter V-8 that spins out 650 hp and 650 lb-ft of torque. Sixty mph flashes by in 3.5 seconds, the quarter mile in 11.4 seconds, and the ZL1 can reach a top speed of 198 mph. The ZL1 1LE lapped the Nürburgring in a blisteringly quick 7:16. The ZL1’s supercharged power comes on with unrelenting and unquenchable fury. Extra-legal speeds arrive quickly, and the car asks to play there. The SS and ZL1 get a 10-speed automatic transmission; it shifts promptly, downshifts several gears at once, and uses better shift logic than a human can on a racetrack. The front seat is clearly the place to be in the Chevy Camaro. Don’t get stuck in the back or expect to carry people or cargo. The 2019 Camaro has limited interior space, but the first row gets the bulk of the room and excellent sport seats. While the fabric of the base seats is budget-grade, buyers can opt for Recaros that are both heated and cooled as well as form fitting for performance maneuvers. Front leg room is plentiful, and head room is good enough that tall drivers stand a chance of wearing a helmet in this generation Camaro. The rear seat utterly lacks leg room, which makes it best used for packages. That’s especially important because the trunk has only 9.3 cubic feet of space (plus a high lift-over) in the coupe and just 7.3 cubes in the coupe. Both are especially small for their classes. While the materials of generation Camaro are improved over the last, there is still quite a bit of plastic on the dash, doors, and center console. In total, however, the fit and finish and quality are appropriate for the prices. 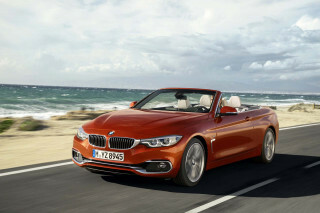 The convertible features a mutli-layer power soft top that shuts out noise well and feels substantial. It can also be operated remotely. Poor outward vision and a lack of automatic emergency braking are drawbacks, but the Chevy Camaro has posted decent crash-test scores. The 2019 Chevrolet Camaro comes standard with a modest list of standard safety features that includes eight airbags (including dual knee airbags), and a rearview camera. Blind-spot monitors, rear cross-traffic alerts, rear park assist, and for 2019, forward-collision warnings are standard on the 2SS and ZL1 and available on 3LT. The Camaro’s crash test scores are fair. It received five stars overall, four stars for frontal impact, and five stars for side impact and rollover from NHTSA. small front overlap driver-side, moderate front overlap, side, and rear crash tests, but it doesn’t have a score for the small front overlap passenger-side test. Its roof-strength rating was only "Acceptable" and the front crash prevention system earned only a “Basic” rating, which is actually an improvement this year because it had no front crash prevention system prior to 2019. Form trumps function in the Camaro. A gunslit greenhouse makes it look cool but also limits forward vision while the view out the back is obstructed by thick rear pillars. 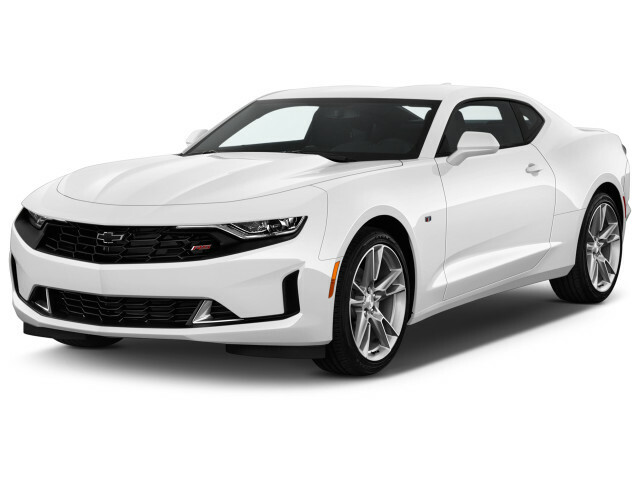 The 2019 Chevrolet Camaro offers a model for every taste, from a turbo-4 coupe to a V-6 convertible to a track-burning ZL1, but our choice is the V-8-powered SS coupe. Chevrolet offers the 2019 Camaro in four-seat coupe or convertible body styles with prices that start in the high $20,000s and range up past $70,000. Trims consist of LS, 1LT, 2LT, 3LT, 1SS, 2SS, and ZL1. The LS has a turbo-4, LT models can be had with the turbo-4 or a V-6, SS models get a 455-hp V-8, and the ZL1 has a 650-hp supercharged V-8. Standard equipment on the LS model includes an 8-way power adjustable driver’s seat, a 4-way manual passenger seat, keyless ignition, a six-speaker AM/FM audio system, satellite radio, two USB ports, a 7.0-inch touchscreen infotainment system with voice control, Apple CarPlay and Android Auto compatibility, Bluetooth, one month of OnStar turn-by-turn navigation and remote access, three months of 4G LTE data services that enable a wi-fi hotspot, and 18-inch alloy wheels. We recommend the 455-hp V-8 as it provides the power the Camaro was meant to deliver, and the 2SS trim comes with some useful features, including a new rear camera mirror, which is especially helpful in a car that is hard to see out of as the Camaro. The 2SS also gets dual-zone automatic climate control, a head-up display, a nine-speaker Bose audio system, memory for the driver’s seat and exterior mirrors, ambient lighting, heated and cooled front seats, rear park assist, blind-spot monitors, rear cross-traffic alerts, and the new forward-collision warning system. Unfortunately, this system is not available if the Performance Data Recorder is ordered. That’s all in addition the 1SS’s standard 8.0-inch touchscreen, satellite radio, Brembo brakes, upgraded cooling, and 20-inch summer tires. The 1LE option package is now available for all engines. It upgrades the cooling, suspension, and brakes for better performance. The SS version gets Magnetic Ride Control dampers and Recaro front bucket seats, while the ZL1 1LE package adds aerodynamic components (front splitter, front dive planes, and carbon-fiber rear wing), spool-valve dampers, adjustable front ride height, adjustable camber, three settings for the rear stabilizer bar, and Goodyear Eagle F1 Supercar 3R summer tires. Notable options include the Magnetic Ride Control dampers, a dual-mode exhaust system, navigation, a sunroof, remote starting, wireless phone charging, and the Performance Data Recorder. The Camaro’s infotainment system works best in its 8.0-inch configuration. It features easy-to-understand tiles and swipe and pinch-and-stretch controls. It is updated this year and Chevrolet says the user interface is more intuitive. It also now uses its 4G LTE connection to the cloud to enhance its navigation system and personalization capabilities. The 2019 Chevrolet Camaro can be fairly efficient or rather thirsty, depending on your chosen power output. The most-efficient version is the turbo-4 with the 8-speed automatic. The EPA rates it at 22 mpg city, 31 highway, 25 combined. Swap to the 6-speed manual, and the ratings fall slightly to 20/30/23 mpg. The V-6 is almost as efficient. With the 8-speed, it is rated at 19/29/22 mpg, and the manual drops the ratings to 16/27/20 mpg. The base version of the 6.2-liter V-8 in the Camaro SS is rated at 16/27/20 mpg with its new 10-speed automatic and 16/24/19 mpg with the manual. Go for the supercharged V-8 in the ZL1 models and the Camaro is rather thirsty. It is rated at 13/21/16 mpg with its 10-speed automatic and 14/20/16 mpg with the 6-speed manual.